Today in Masonic History William Clement Stone passes away in 2002. 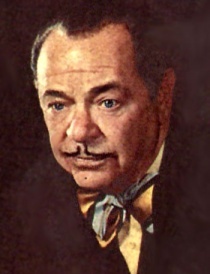 William Clement Stone was an American philanthropist, businessman and self-help author. Stone was born on May 4th, 1902 in Chicago, Illinois. When he was three his father passed away and left the family in debt. At the age of 6 Stone was worked selling newspapers. By 1915 he owned his own newsstand. He also, according to his autobiography, sold newspapers in local diners. Restaurant owners were initially reluctant to have him in their establishments until the patrons seemed to enjoy the new method of selling newspapers. At the age of 16 he moved to Detroit to sell casualty insurance for his mother who had started an insurance business. He dropped out of High School to sell insurance full time. He would later go back to receive his diploma. He also took classes at the Detroit College of Law and Northwestern University. Stone would become a classic rags to riches story. Starting with $100 and turning it into millions. He was inspired by Horatio Alger books, a writer from the 19th century who told stories about young men who had nothing and moved into the middle and upper classes. He did this in part by establishing the Combined Insurance Company of America in 1919 when he was just 17. The company provided accident and health insurance. By 1979 the company had more than $1 Billion in assets. Stone was a fan of the book Think and Grow Rich by Napoleon Hill. He considered it a life altering moment when he read the book in 1937. He also once called the Bible "the world's greatest self help book." In 1960, Stone teamed up with hill and wrote Success Through a Positive Mental Attitude. The principal of the book was having a Positive Mental Attitude (PMA). Into his 70's Stone was traveling around promoting the philosophy and by one account came jumping out on to a stage at 74 acting like a man in his thirties. He would collaborate with others as well and wrote several self help books. Stone was active in politics and contributed to the 1968 and 1972 Nixon campaigns. He was one of several major donors that the Nixon campaign tried to sell Ambassadorships in exchange for campaign donations. Stone himself was specifically mentioned during the Watergate scandal. Throughout his life, Stone wanted to help others to achieve in life the way he had. He established various charities. He was also a long time supporter of the Boy's Club of America (now the Boy's and Girl's Club of America). On his 100th birthday Stone gave $100,000 to the University of Illinois at Chicago. Stone passed away on September 3rd, 2002. Stone was a 33° Scottish Rite mason. His lodge affiliation was not available.